Visit the lesser explored regions of Rajasthan as you go about the forts and palaces built during the Rajputana Kingdom of India. This trip is sure to give you insight into the history and heritage of the Rajputs and the heritage they left behind them. 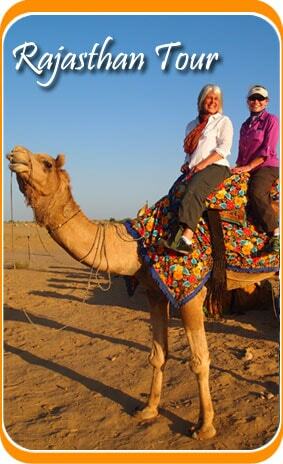 This 14 Days Rajasthan Aurangabad Historical Tour Package also includes a trip to Mumbai which is an added perk. Enjoy!! As soon as you arrive at Mumbai our representative would take you to the hotel pre-booked for you. Check in and relax. Visit places like Kamla Nehru Park, Hanging Gardens and Malabar hills. You can also visit places like Marine Drive, Chowpatty Beach, Prince of Wales Museum, Mani Bhavan, Dhobi Ghat and the gateway of India. Return to the hotel and stay here. In the morning board a train to Aurangabad. Upon arrival, go for sightseeing after checking into the hotel. Visit the Daulatabad Fort and Bibi ka Maqbara. Return back to the hotel and stay here for the night. Dine and relax. Drive to the caves and visit the rock cut temples in the premises and explore the beautiful Buddhist, Jain and Hindu sculptures taken from their mythological beliefs and their religious callings. Ajanta is known for its beautiful caves. Return to the hotel and stay for the night. Visit these caves which stand for Buddhist, Jain, and Hinduism. The most wondrous of them is the Kailash temple with exotic replica of Shiva’s celestial abode. Retire to the hotel after the excursion and stay there for the night. Dine and relax. Board a flight to Delhi today and upon arrival, check into the hotel. The day is left for individual activities. Stay at the hotel for the night. Dine and relax. Visit places like Raj Ghat, Red Fort, Jama Masjid, Qutub Minar and India Gate and have a look at the President and the Parliament House. Return back to the hotel for the night. Dine and relax at the hotel. 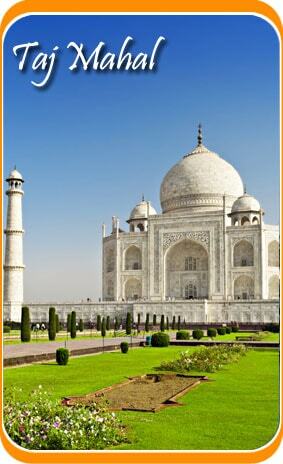 Drive to Agra and visit the Taj Mahal, Agra Fort and the tomb of Itmad-Ud-Daula. Retire to the hotel for the night. Dine and relax. Drive to Jaipur today and along the way halt at the city of Fatehpur Sikri and explore the ruins. Upon arrival at Jaipur, check in to the hotel pre-booked for you. Stay at the hotel for the night. Dine and relax. Visit the Amer Fort and have a ride at a caparisoned elephant. You can also have and excursion to the Hawa Mahal also called the “Palace of Winds” and the Royal Observatory – The Jantar Mantar. Stay at the hotel for the night and relax there. We would today drive to Pushkar and on the way halt to visit the Ajmer Sharif Dargah on the way. As soon as you arrive, check into the hotel and have a little rest. In the afternoon, you can go for a visit the temples at Pushkar. Do not forget to visit the Pushkar Lake and also the Brahma temple. Return to the hotel and stay for the night. In the morning we would drive to Kumbhalgarh and visit the Kumbhalgarh Fort and Bird Sanctuary and then after the visit go to the hotel pre-booked for you. Dine and relax at the hotel for the night. Check in to the hotel and take a little rest. Later you can go to visit the Ranakpur Jain temples. Proceed to Udaipur and check in to the hotel for the night. After lunch, visit the Eklingji and Nagda temples. Retire to the hotel. Visit the City palace, Saheliyon ki Bari and Bhartiya Lok Kala Mandir, Udai Sagar and the Jag Mandir. Move to Mumbai and then board a flight to your home country and stay.